People walk past a branch of restaurant chain Wagamama in Manchester, Britain September 21, 2017. Picture taken September 21, 2017. 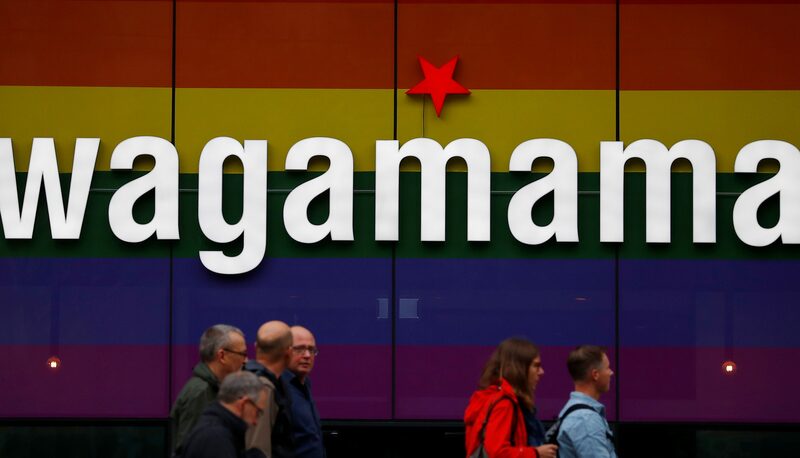 Restaurant Group said on Oct. 30 it was buying the UK-based Wagamama noodle group for 357 million pounds in cash, expanding its chain of pubs and eateries in airports and shopping malls. The company said the deal had an enterprise value of 559 million pounds and it would undertake a rights issue to complete the transaction. Restaurant Group’s shares were down 13.2 percent to 259 pence at 1305 GMT on Oct. 30.